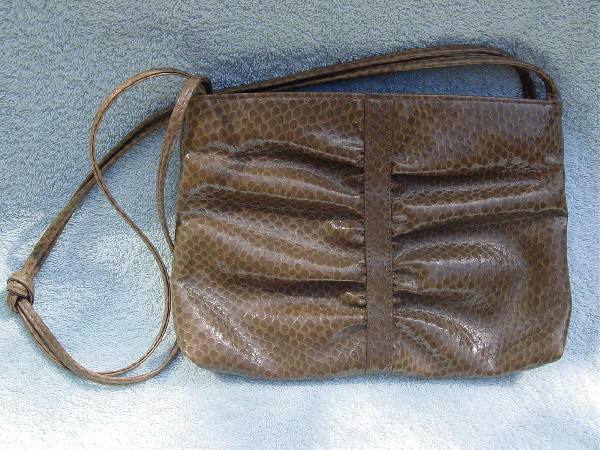 This vintage Mary Ann Rosenfeld purse has an embossed snakeskin pattern in taupe. 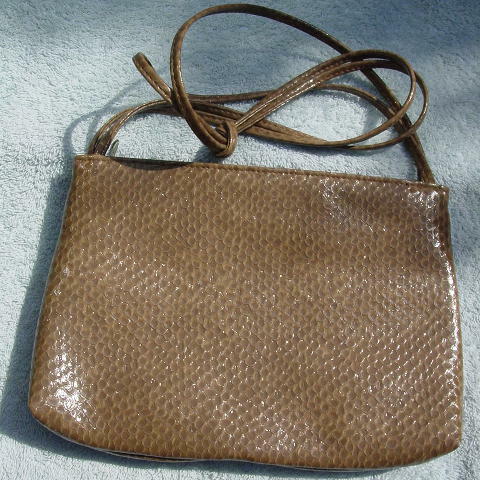 It has horizontal gathering in the front, but none in the back, and it has double 35" long shoulder straps that are knotted in the center. 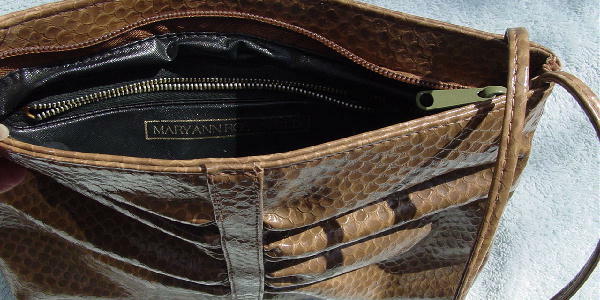 There is a top side to side zipper, a black plastic lining, and a roomy zipper compartment with Mary Ann Rosenfeld printed in gold-tone letters below the zipper.